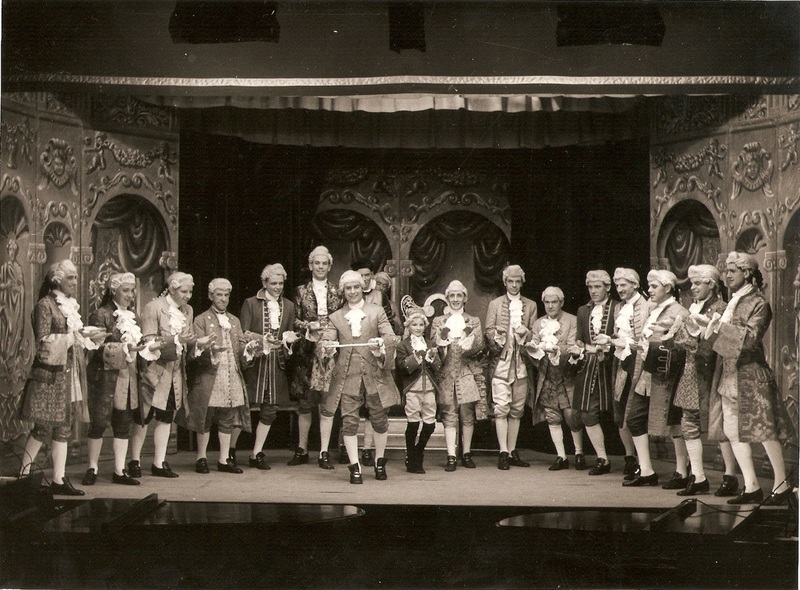 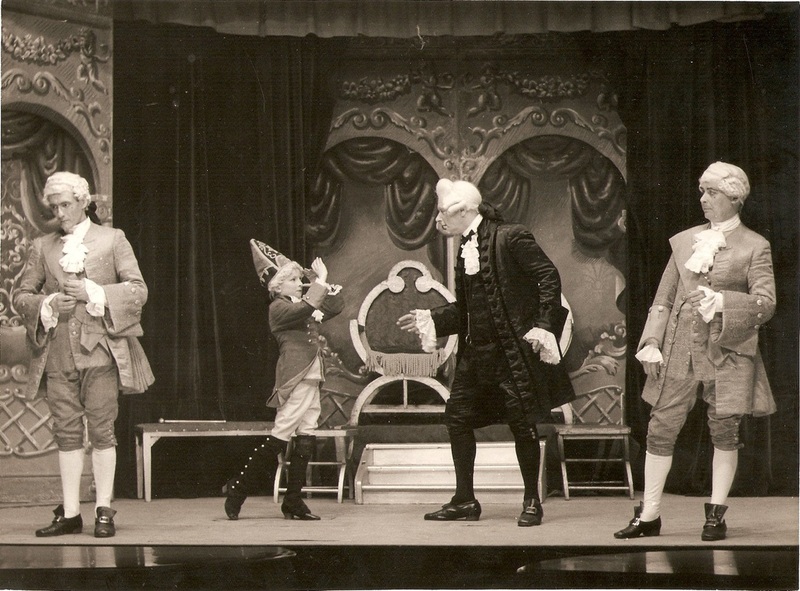 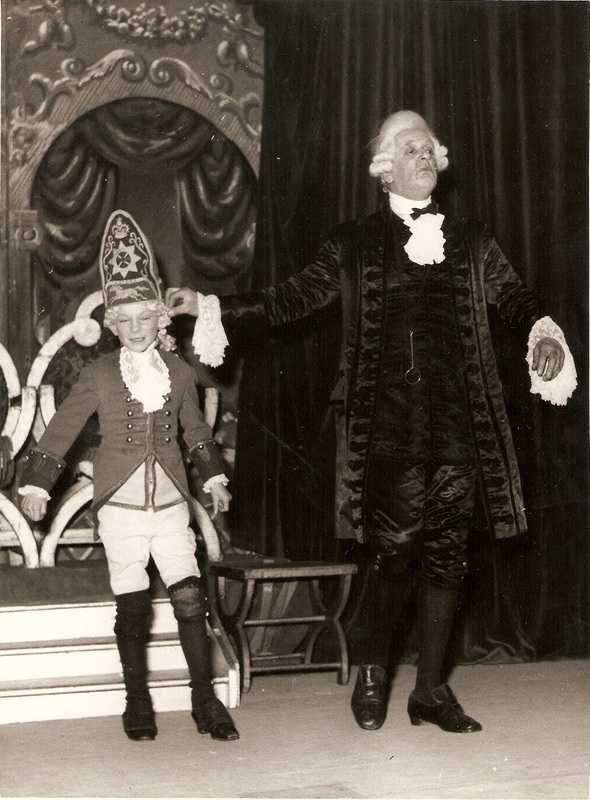 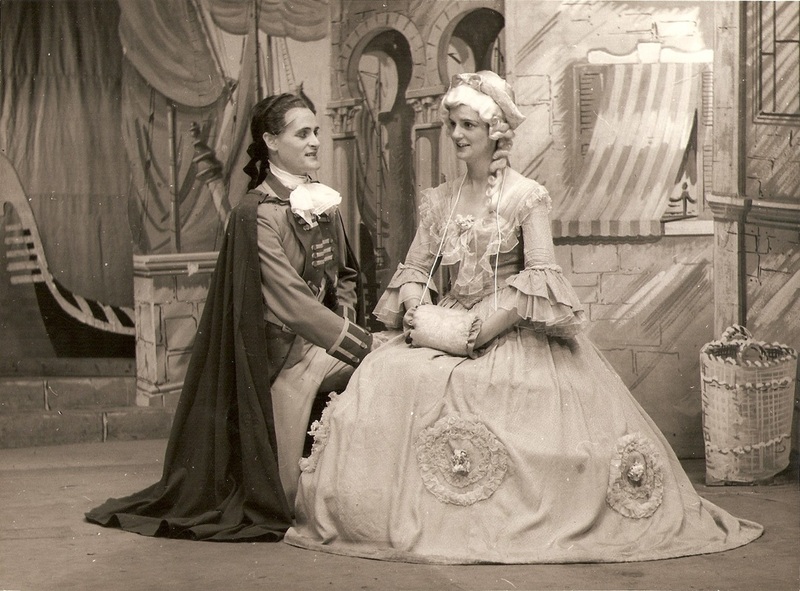 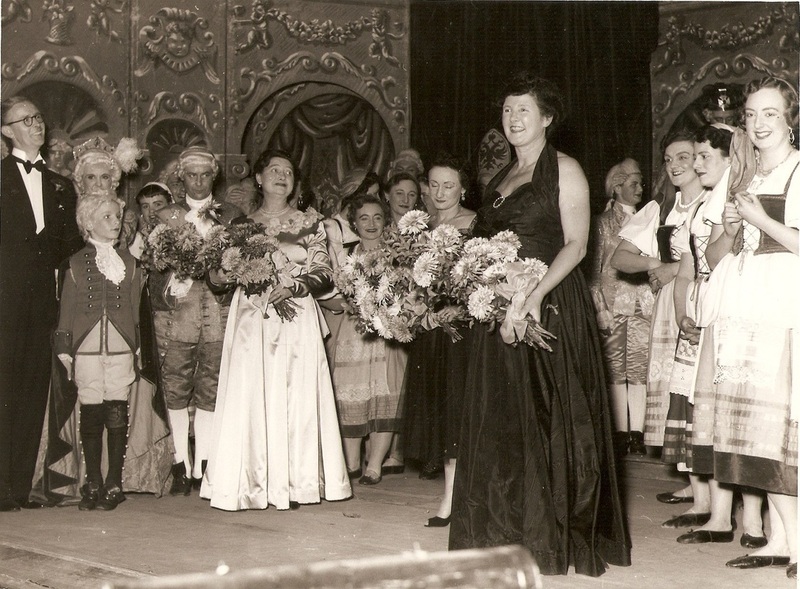 Our first ever show, back in November 1954, was Gilbert & Sullivan's The Gondoliers. 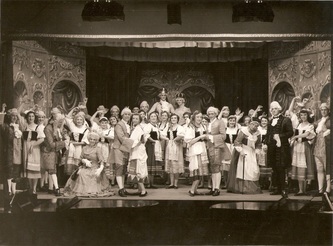 It seems to have been well-received - a news cutting from the time reports that "Arthur Lucas, the famed D'Oyly Carte tenor, who saw the show on the first night, enjoyed it so much that he went back to see it again on Saturday. 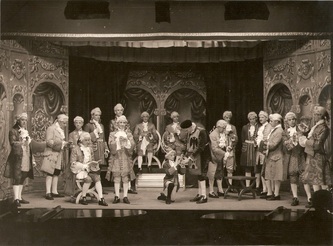 The house was full but one of the society's officers gave up his seat to him."! 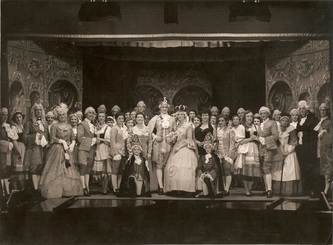 Chorus of Contadine, Gondoliers, Attendants etc. 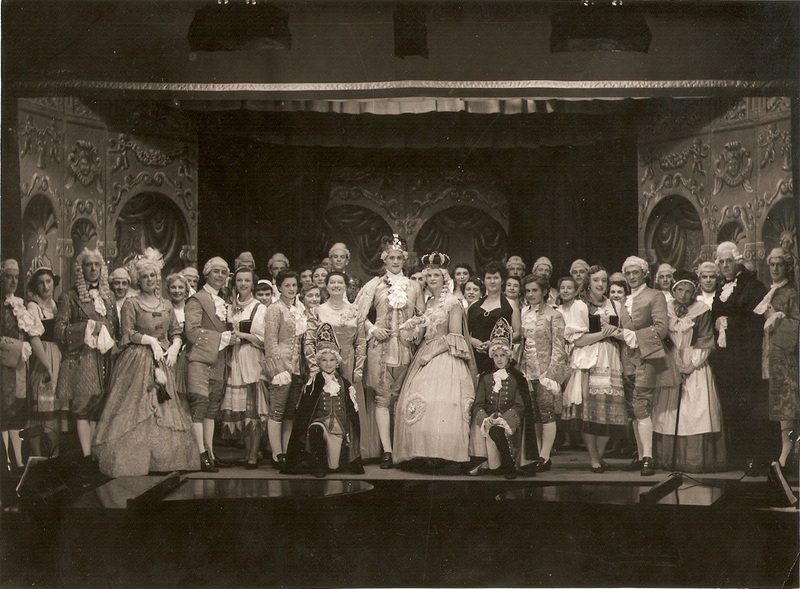 Mesdames Andrews, Barclay, Brooks, Clark, Earnshaw, Gibson, Gofton, Gunn, Lockton, Love, Palfrey, Sherman, Stewart, Venn, Warn, Williams. Messrs. Aldred, Barclay, Catton, Cartwright, Chapman, Gardiner, Haigh, Herbert, Hirst, Lake, Manly, McCabe, Pickard R., Pickard P., Rogers, Taylor, West. 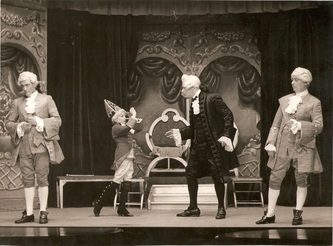 Masters Tony Blair, John Graves.